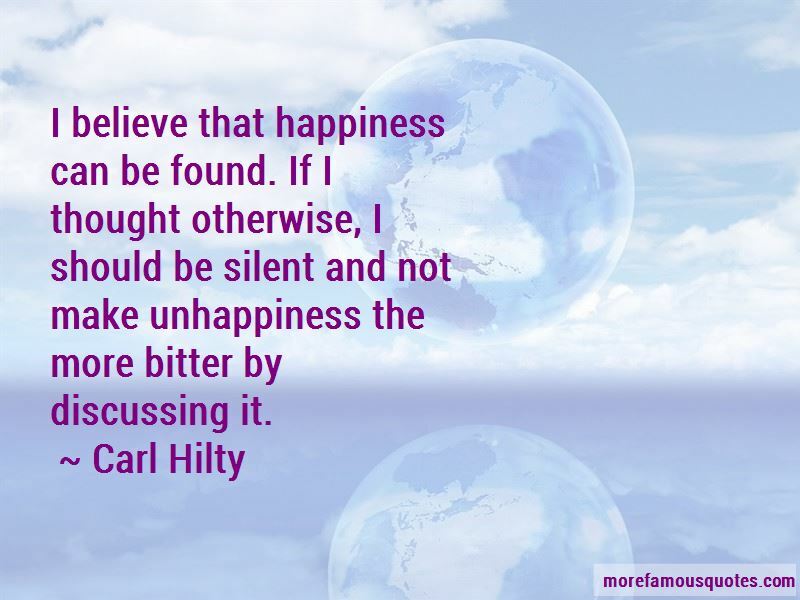 Enjoy the top 2 famous quotes, sayings and quotations by Carl Hilty. The paths by which people journey toward happiness lie in part through the world about them and in part through the experience of their own soul. Want to see more pictures of Carl Hilty quotes? Click on image of Carl Hilty quotes to view full size.